The best balaclava to stay warm and comfortable this winter while protecting your face from harsh wind, rain and cold. Order now before this special price ends. Crafted using breathable, high-quality fabric, the MJ Gear Balaclava offers you complete protection for your face, head and neck while you're playing outside, riding your motorcycle, or enjoying sports. Shaped to prevent bunching, overheating or obstruction of vision, this balaclava is perfect for any adventure. The extended neck means you can tuck it under your jacket or shirt to keep out drafts and biting winds. The Proven Platinum Black Balaclava can also be used for extra insulation under helmets or other headgear when skiing, cycling, motorbiking or horseback riding. 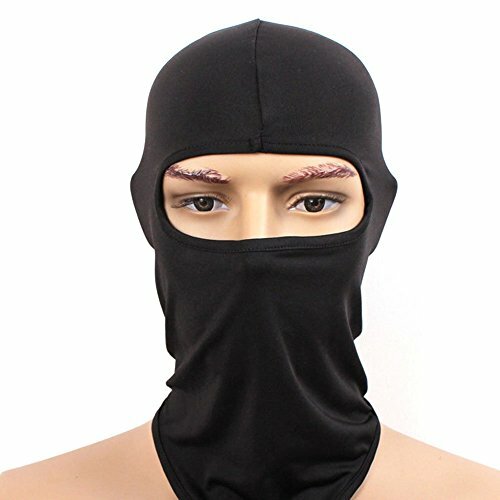 Thanks to its versatile design this is more than just a balaclava. 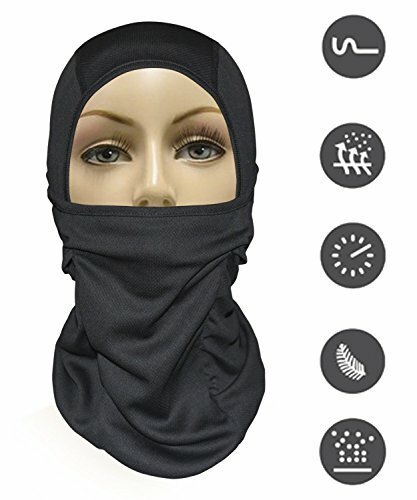 You can use it as a headband, opened or closed balaclava, scarf, hat or neck gaiter. DON'T BE FOOLED BY KNOCK OFF LOOK ALIKES SPECIALLY FROM EWALKING Poor quality balaclavas are uncomfortable, block your peripheral vision and irritate the skin. In contrast, this high quality model provides guaranteed comfort and vision KEEP OUT THE COLD Our full face mask is carefully crafted to help you keep out the cold, biting winds so your ears, neck and face stay warm. Offers extra neck long coverage that can be tucked into shirt or jacket for added protection from blistering cold. HIGH QUALITY: Our balaclava are customer¡¯s favorites for their easy care and high-quality construction. Backed by the best performance materials, our mask has everything you need to stay comfortable on a harsh winter. MULTIPURPOSE Offers wind protection and is ideal for winter outdoor activities - skiing, running, snowboarding, snowmobiling, motorcycling, trekking, mountain climbing. You can wear them as open and closed balaclava, neck warmer, beanie, hat, scarf or pirate. Can be worn on its own or can be used as added protection and insulation under any type of helmet or hat! ONE SIZE FITS MOST: Designed for adults, our balaclava won't irritate the skin, stretches for a snug, form fit, and is made for both men and women. BUY WITH COMPLETE PEACE OF MIND. Our balaclava is made with premium high quality polyester fabric back with no questions asked 100% money back life time guarantee. You won¡¯t get this type of service with the big brands like Under Armour. ?